Combined these two parcels make more than just a impressive piece of land. This is paradise! Build your dream home ~Panoramic views of Lemon Bay located on the Intracoastal Waterway. 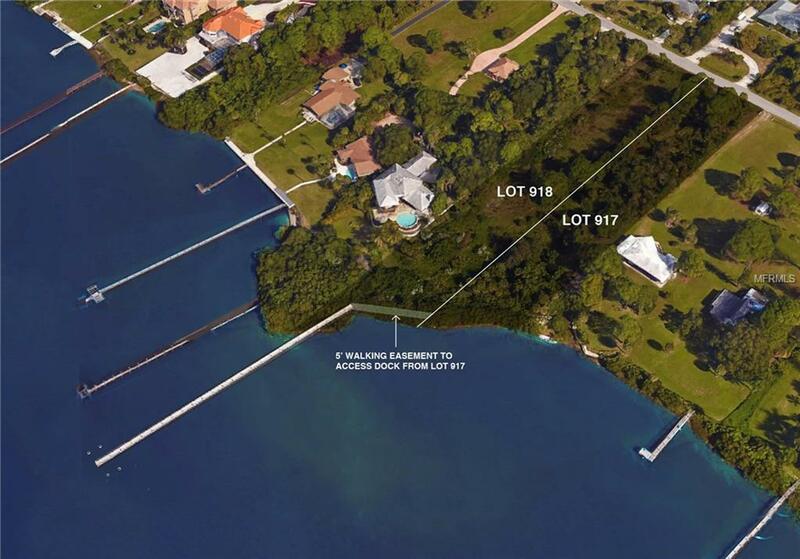 With Lot 917 & 918 combined you have 200' ft. on the intracoastal waterway. Privacy and clear views of the water with western exposure so you can enjoy gorgeous sunsets; only minutes to Southwest Florida's best pristine beaches on Manasota Key. Golfing, historic downtown, car shows, and fine dining just a short drive. These lots share new state dock with Sure-Step vinyl decking and room for a boat lift. Owners are eligible to apply for membership to Englewood Gardens Beach Club.